You don't realize how much a great tasting glass of water is worth until you don't have one. 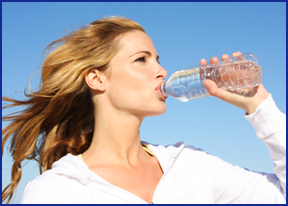 Break Time Vending Services realizes that many locations in our region are not blessed with great tasting tap water. Not to worry – Break Time Vending Services has our area's most effective and affordable Walter Filtration solutions. Now you can enjoy clean, sparkling, great tasting water any time you like. 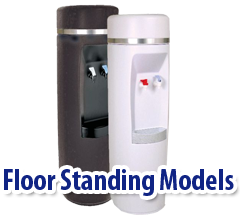 Break Time Vending Services’ bottle-less filtration systems dispense either hot or cold water whenever you like. We use the best, state of the art water filtration equipment available in the industry. The water systems provided, connect directly to your water supply to keep your costs low and plentiful filtered water always ready. 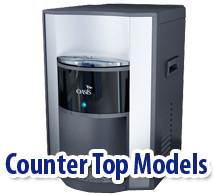 Break Time Vending Services offers both table top and floor filtration units. 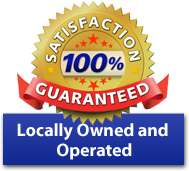 In addition, we offer bottled water by the case for your conference room, break room, or stock room. 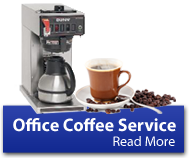 Break Time Vending Services is your one stop shop for vending, office coffee and water filtration. 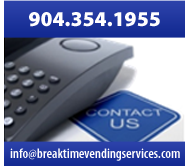 Call us today for a no obligation discussion 904.354.1955 or Email info@breaktimevendingservices.com.